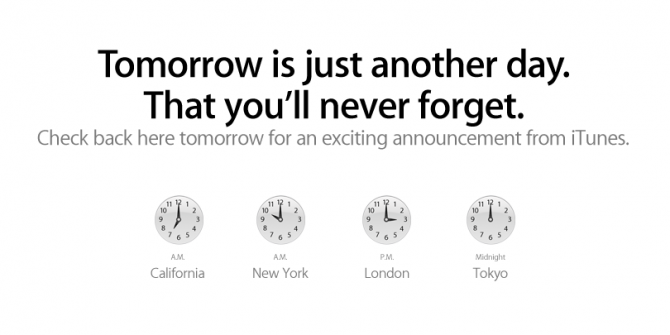 Recently posted on the Apple website was a message that said the following, ‘Tomorrow Is Just Another Day, That You’ll Never Forget.’ I gotta say, that makes me pretty excited to see what they have in store. They are referring to an announcement related to iTunes and we are not sure yet what will happen. The announcement is scheduled for 10:00 A.M. Tuesday morning. I am not sure as to how big of an announcement this could possibly be. There is no keynote planned and an update of iTunes was just released last week. There has been speculation that iTunes will launch some kind of “iTunes Live Stream” service, but there are no details on what exactly that service might be. The poster on the site definately creates some hype, but if it were a ‘huge’ announcement that I’d never forget, I would expect Steve Jobs to be on stage delivering the great news. I guess we’ll just have to wait and see. 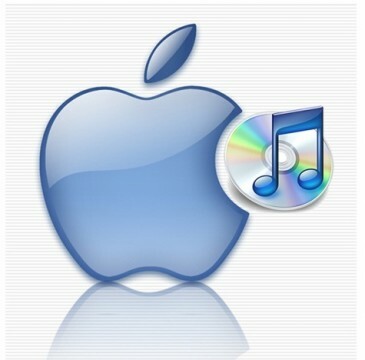 The announcement will be made Tuesday at 10:00 A.M. on Apple’s website.